Instructions for the preparation of oral and poster presentations. Oral Presentations will take place in the New Law Building lecture theatres 101 or 106 or in the adjoining Carslaw Building lecture theatre 173 (as indicated in the programme). 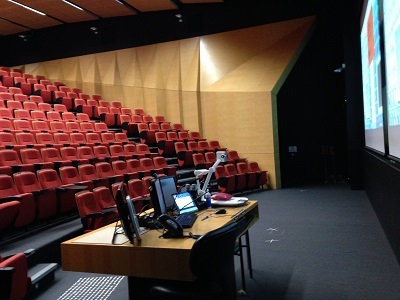 All lecture theatres are equipped with ceiling mounted data projectors and windows-based PC. Please prepare your PowerPoint presentations in standard (4:3) aspect ratio or the 16:9 high definition ratio. 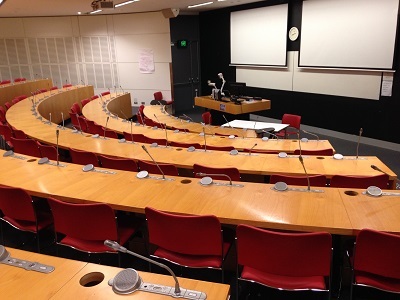 To ensure the smooth transition between presentations in the session, speakers are kindly requested to upload their presentations via USB to the desktop computer in the lecture theatre where they are scheduled to present. We will create separate folders for each session on the PC desktop each morning. Please drag and drop your PowerPoint file into the folder for your applicable session. Please do this at least 30 min before the start of your session. If you have embedded videos or animated files, we strongly recommend that you check them early in the day to ensure the file format is supported. If you wish to use your own laptop please be sure to bring the necessary adaptors to connect your laptop to the AV equipment and test the connection out before the first session of the day. For those using Apple computers, please use fonts that are compatible with Microsoft Office. Also be aware that some image formats are not compatible. You may wish to use the compatibility report feature for your presentation, which can be accessed in the 'ToolBox' and 'Save As' dialogue. Please speak to the chair of your session if transferring your file presents a problem. We recommend that presenters carry at least one backup of their final presentation on a separate USB or hard drive. If you require assistance with IT at the conference, please approach staff at the registration desk or contact the IT Service Desk team at audiovisual.service@sydney.edu.au or ph. +61 2 9351 2000 (Mon-Fri: 8am to 6pm). As a guide, Symposia presentations will consist of 20-25 min presentation with 5-10 min question time. Please consult with the chair of your symposium to confirm the timing or your presentation and coordinate the content with other speakers within the symposium. Each presentation within the free communications sessions will consist of a 10min presentation with 5min question time. Please prepare your presentation in accordance with your allocated time. During free communication sessions, the chair of each session will give a warning after 10 min, and you will have 2 min to conclude. Presentations will be stopped at 12 min, and the question time shortened in order to adhere to the strict time schedule. Posters should be displayed in the Foyer area surrounding New Law lecture theatre 101 for the duration of the conference. Please take them down at lunchtime on Wednesday. As a presenter we request that you are in attendance during your scheduled session to answer questions and conduct a short presentation (2 min). Presentations will occur on Monday (odd numbered poster board authors in attendance) and Tuesday (even numbered poster board authors in attendance). Presenters will be notified of their time via email once the schedule has been finalised. 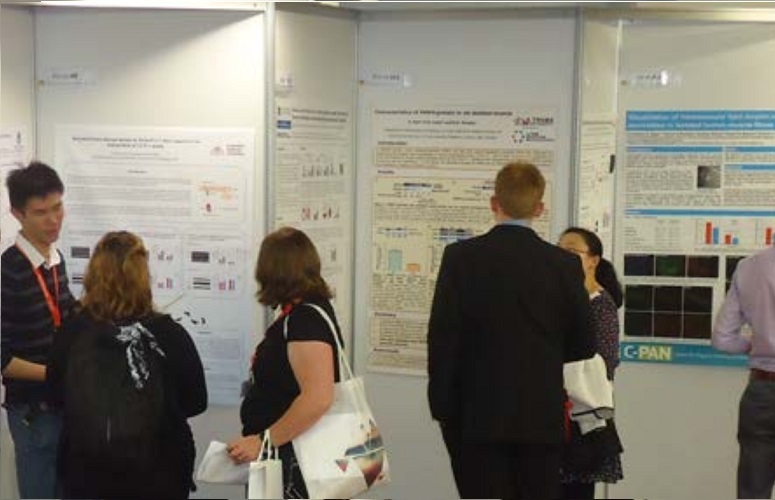 If you are traveling to Sydney for the conference by plane, we recommend taking your poster as carry-on luggage. 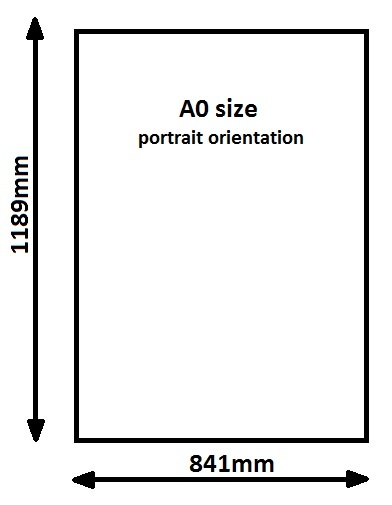 The posterboard area is 175cm high x 85cm wide - your poster must fit within these dimensions. We recommend that posters are prepared in portrait orientation and A0 size (1189mm high x 841mm wide).